With Databox's Slack connector, you can now view data in context, right where the conversation is happening. 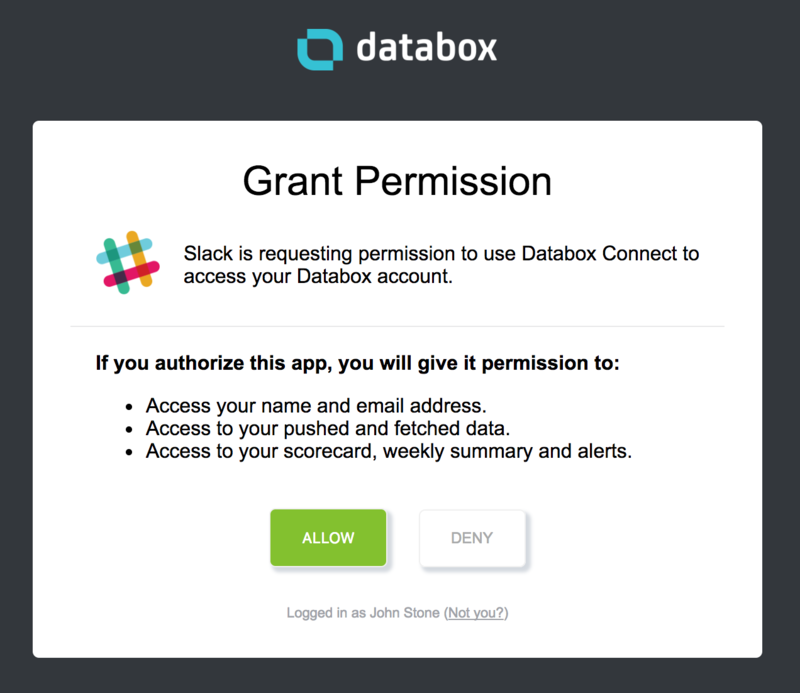 Go to https://databox.com/slack and click "Add to Slack" button. Select the Slack account you want to connect to in right top corner. 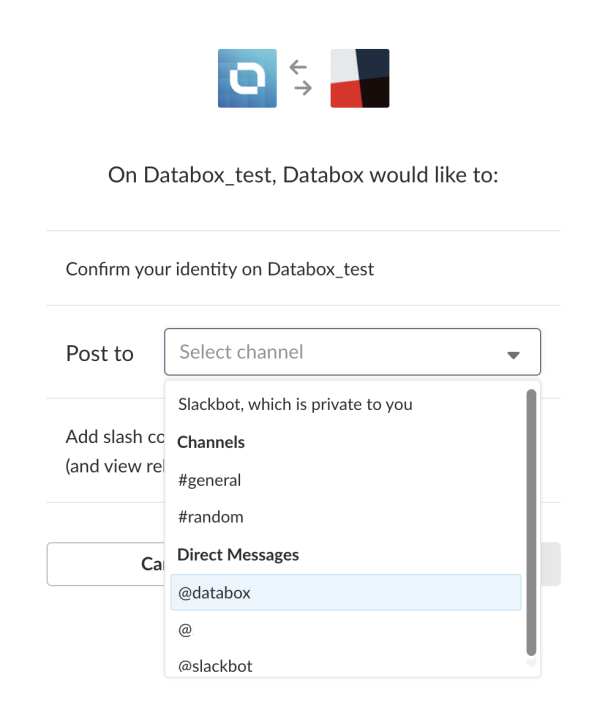 Confirm your identity for your Slack account and select the channel where you Databox to post. 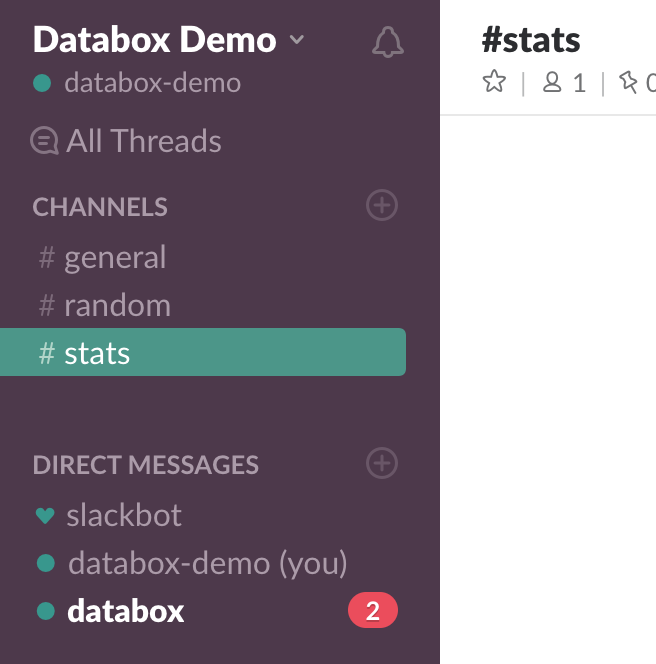 In the meantime, you will get a message from the Databox bot in your Slack app. Be sure to check that Databox was added in your selected channel. Select Databox under "Direct messages" and click on the URL to authenticate your account. Click "Allow" to grant permission. 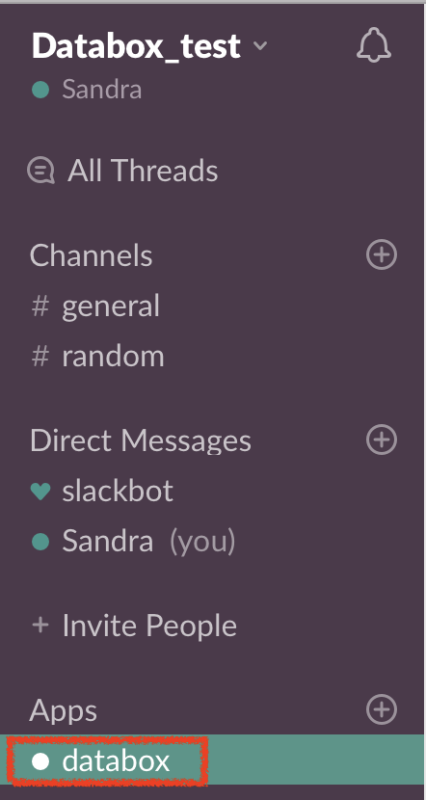 Once you’re connected, you can use slack commands or talk directly to the bot (private conversation). Please note: You will get scheduled Scorecard (daily, weekly, monthly) automatically only in Databox app bot. To be automatically send to specific channel is currently not supported. You will have to use commands below to display it in the channels. Please note: Using '/' will show reports only to you, using '@' will show report to everyone in that channel. In the ''wrong'' channel type in: /kick @databox, hit 'Enter' and confirm it. In the ''right'' channel type in: /invite @databox and hit 'Enter'. You'll get conformation message. Getting errors when using commands: ''Sorry, there was an error while processing your command.''? 1. In Databox app bot type in logout. 2. 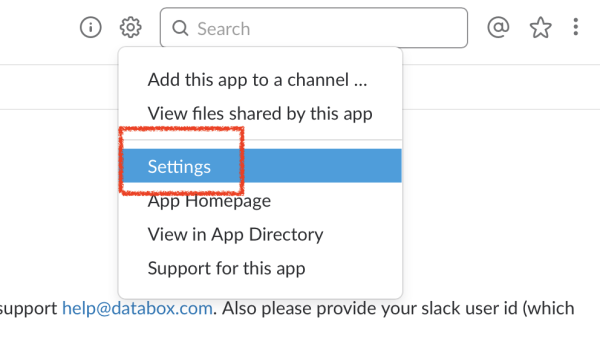 Follow steps above to connect Slack to Databox again. Note: On the drop-down list choose @databox and continue the steps. Remove Databox from Slack. You have to do this in Slack through browser. After that it will open a new page. At the bottom of the page you will find option to Remove App. After that you can reconnect Slack following the steps outlined above.